Syrian army helicopter fire killed 12 people, eight of them children, on Wednesday in a camp near the Jordanian border housing civilians fleeing the civil war, a monitoring group said. 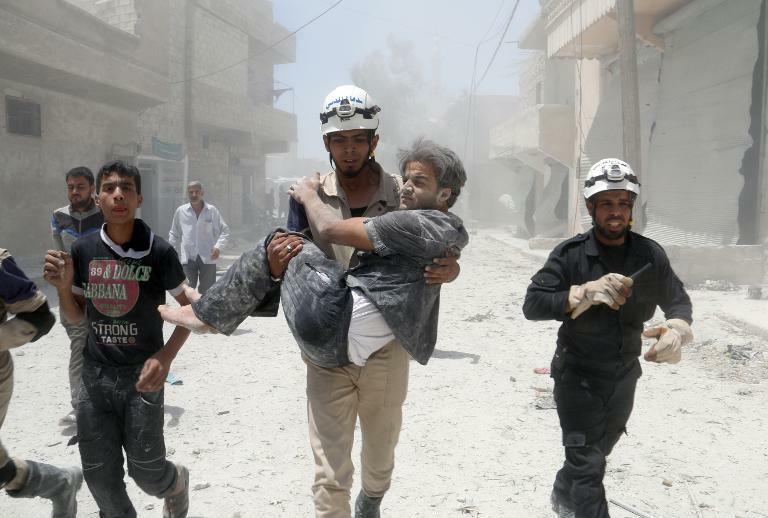 Seven people were also wounded in the air raid on the camp near the southern village of Shajara, three of them women, the Syrian Observatory for Human Rights said. "The victims were all civilians, people who had fled the violence in other parts of Daraa province," Observatory director Rami Abdel Rahman told AFP. The air raid comes amid escalating violence in Daraa province, where rebels have been advancing in recent months, according to activists. Nearly half of Syria's population has fled their homes since the uprising against President Bashar al-Assad's rule erupted in March 2011. More than three million have found refuge abroad. But around six million more are displaced inside Syria, with many living in terrible conditions in camps along the borders.